What are the odds of your car accident case actually going to trial? 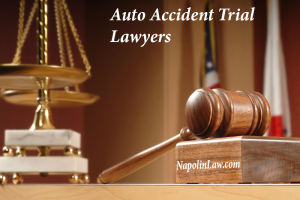 Will an Auto Accident Case Go to Trial – This is a common question for those who have hired or are looking to hire a lawyer for a crash. The reality is that most cases never see the inside of a courtroom. This is because litigating to a courtroom and award is a very time consuming and expensive endeavor for all involved, including for the court system. Parties are therefore encouraged to settle disputes. By avoiding court and settling disputes, a significant amount of resources are saved. But what are the chances of a particular auto collision case going through to a trial instead of settling out of court? Many factors will affect the chances, but there is one in particular that has a significant effect. The main factor is whether the attorney has taken certain imperative steps to convince the insurance company that a claim holds a particular value. This is done by implementing a specific set of strategies and tactics in the pre-litigation phase. Pre-litigation is the time period after a claim is filed with the insurance carrier but before a formal lawsuit has been filed against the negligent driver who caused the accident. Here are some specific things that the best personal injury lawyers will put together to prove the value of your claim to the insurance adjuster prior to the filing of a lawsuit. When packaged in a professional manner and wrapped up with a professional letter sent certified mail, the odds of settlement at the appropriate amount is high. On occasion, a difference of opinion may arise as to the value of a claim. That is when the pursuit of full litigation is necessary. This either happens because the plaintiff is demanding too much or the defendant is offering too little. Maybe one side is valuing the situation lower than reality, or one has lofty demands not based on precedent. Napolin Law Personal Injury Attorneys Are Strong Advocates. 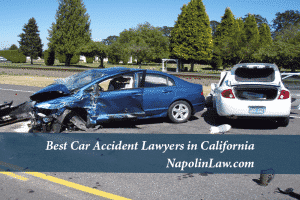 The best car accident attorneys at Napolin Law have the trial experience you need. We use our understanding of the law to create effective techniques for obtaining exceptionally high settlements without going to jury. If you have fallen victim to another driver’s negligence, contact our personal injury law firm at 909-325-6032 to see if we can put our reputation and efforts behind your motor vehicle injury. Do not delay. There are deadlines for filing lawsuits. If you miss the deadline your case could be lost. 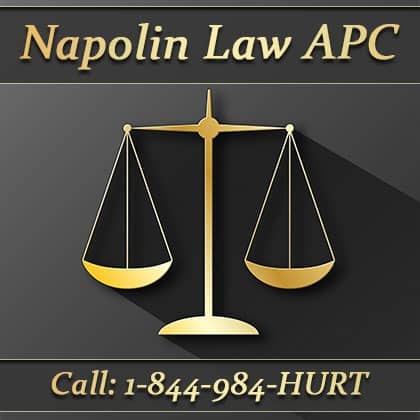 So, call Napolin Law today toll-free at 1+844-984-HURT.